Friday July 14th 5.30pm to 7.30pm and Saturday July 15th 10am to 12 noon. 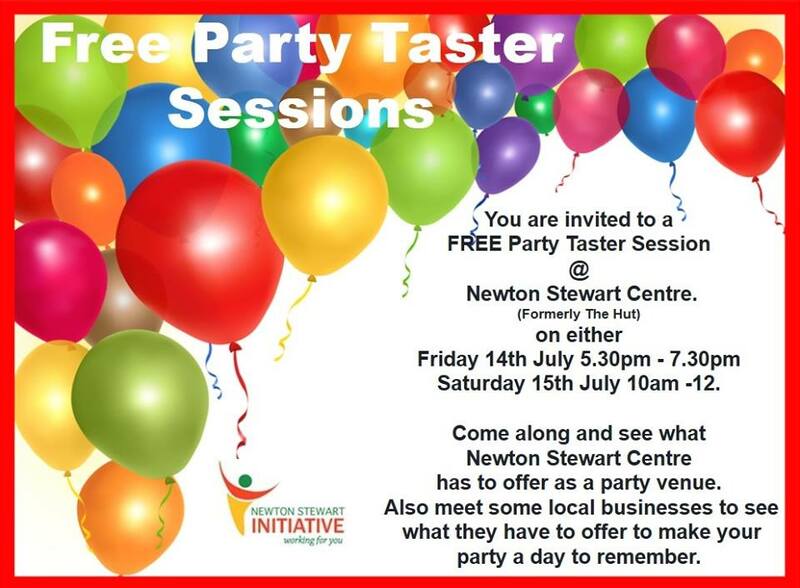 Newton Stewart Initiative are delighted to present two free sessions to let you see how The Newton Stewart Centre can be the perfect venue for children’s parties. If you are thinking about organising a children’s party or similar event now is an ideal time to come along and see all that we can offer as a package. There will also be local children’s entertainers, balloon modellers, cake makers and face painters etc in attendance at both sessions who will be delighted to discuss with you what they can offer, prices, free dates and more. Posted in Events, Featured, News, The Hut.